In Harding's past solo work he has always presented an ear for that late 80's/early 90's convergence of sludge and pre-Nirvana grunge and has married it well with his taste for atmospheric bands like The Jesus and Mary Chain and My Bloody Valentine. The Dumb Numbers sound is all of that plus more. It's the right amount of muddy, in your face guitar and hefty bass that conflicts yet co-exists nicely with Harding's soothing, airy vocals. All of the influence that you would expect to hear are present, as they should be, since some of the pioneers and heavy-hitters of the genre are in your band. 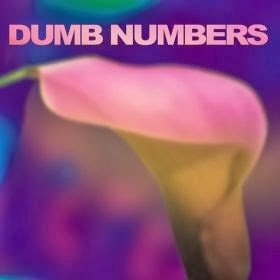 I'm still digging in and finding my way around this album but Dumb Numbers are definitely an all-star caliber band putting out an all-star quality album that's worth a listen to. They were also off of my radar until a friend recently turned me on to them, thanks Ryan! Harding called in the help of another super-friend, David Yow (The Jesus Lizard) to direct Dumb Numbers' video for the song Redrum.